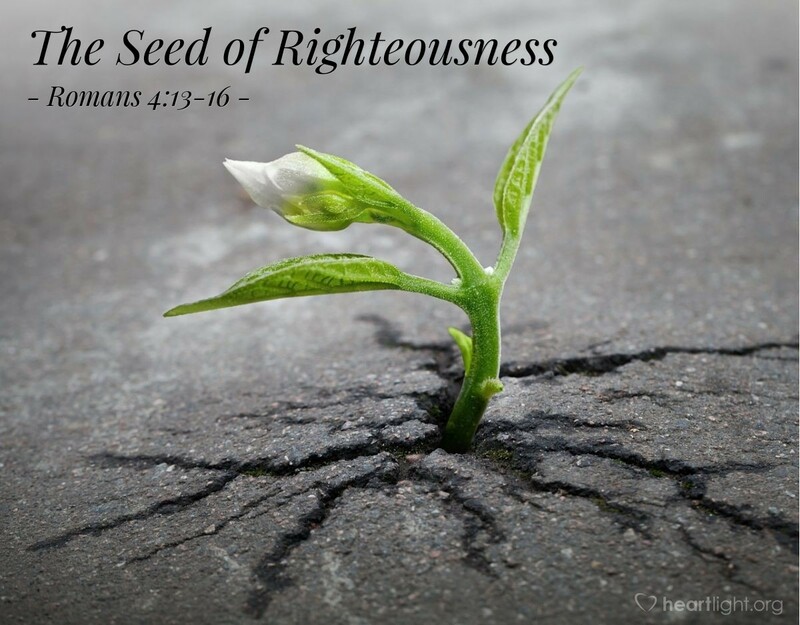 Thank you for the marvelous promise made to Abraham and his seed, that they should inherit the world. Thank you that it depends on faith, so that the promise may rest on grace and be guaranteed to all his descendants, not only those who are adherents of the law but to everyone who shares the faith of Abraham, who is father of us all. Praise be to you, beneficent God, that I can be a descendant of Abraham, not by being born in his lineage but by being born from above by his kind of faith, the life-giving seed that makes me one of his children. Thank you that this is possible through Christ. In the name of Jesus. Amen.